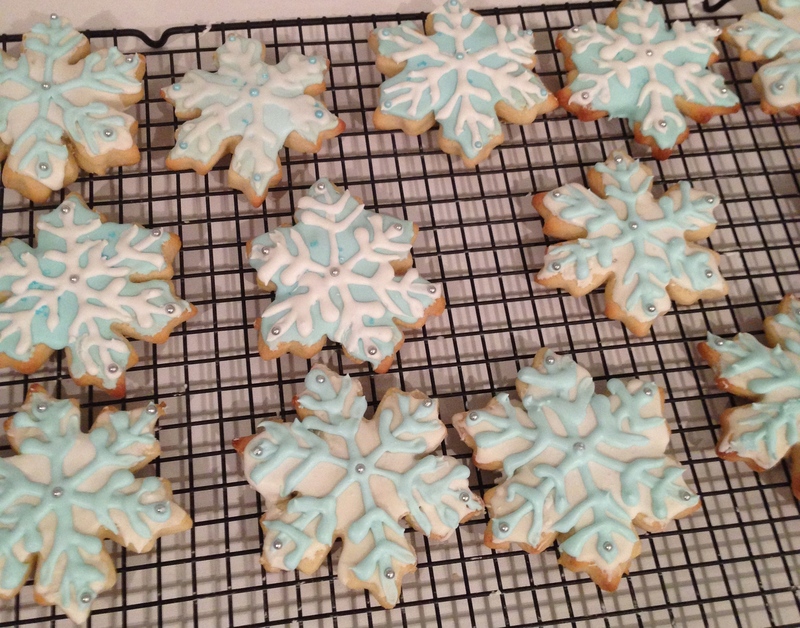 I made these snowflake cookies for my daughter’s Frozen birthday party. They take a few days to complete, so be aware of the time, but it’s still fun! They also freeze well! Recipe below! Preheat oven to 400 degrees F (200 degrees C). Roll out dough on floured surface 1/4 to 1/2 inch thick. 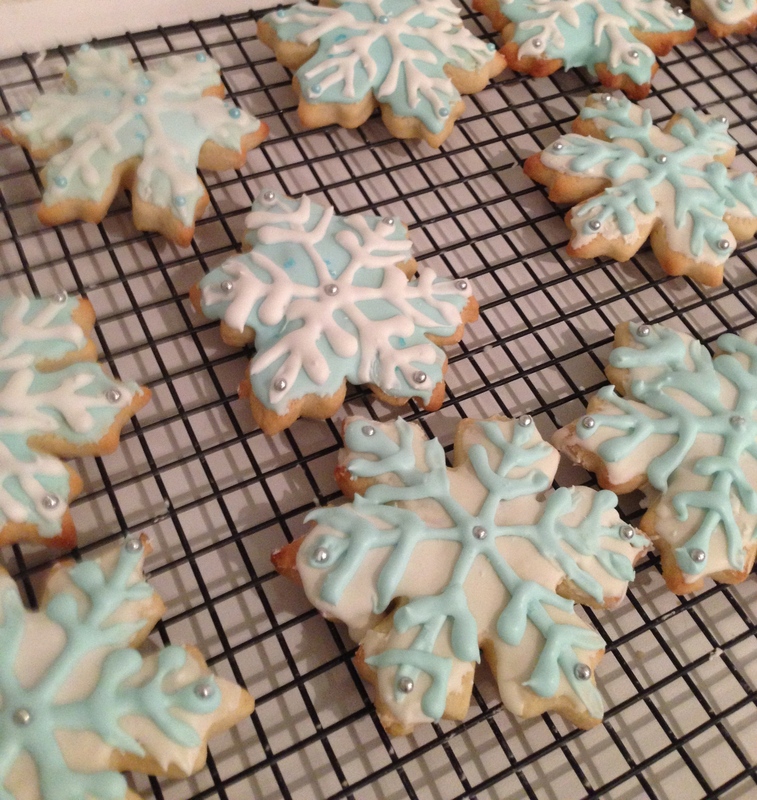 Cut into snowflake shape with cookie cutter. Place cookies 1 inch apart on ungreased cookie sheets. Beat all ingredients at low speed for 10 minutes, or until icing forms peaks. Keep icing covered with a wet kitchen towel at all times. Icing can dry out quickly. If icing is too dry, add water one teaspoon at a time because if you make it too watery the icing will not work. Add icing to piping bag and outline your cookie with icing then flood the cookie inside of the lines. Now to finish your piping make another batch of fresh royal icing. 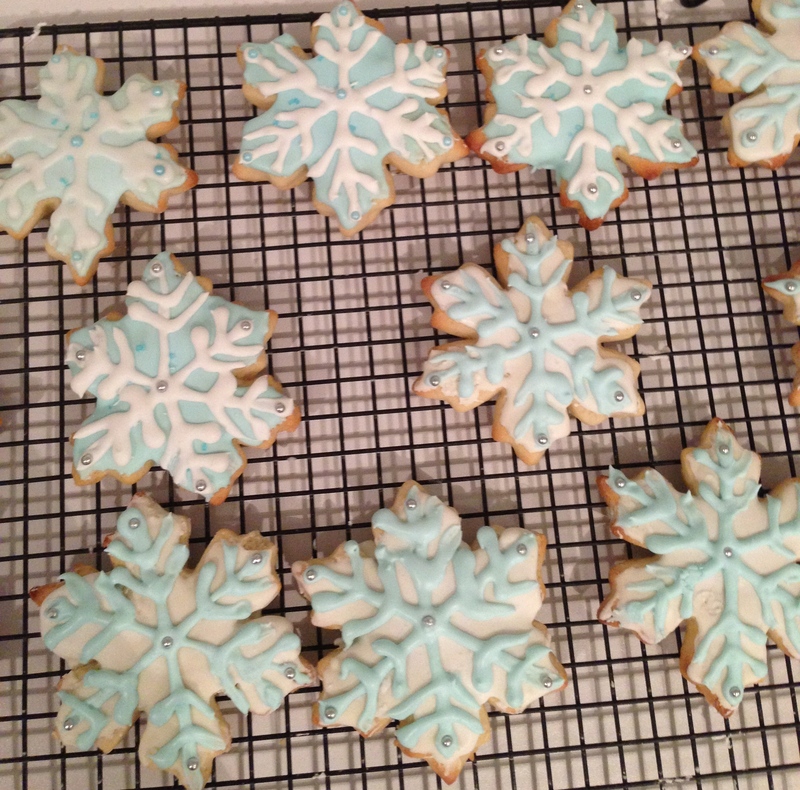 Add icing to piping bag and draw the rest of the snowflake cookie lines. Dry 8 hours or overnight at room temp. Store in airtight container for a week in fridge or freeze for 3 months.